» Is Paypal working on the FOR SALE section? Is Paypal working on the FOR SALE section? I just grabbed something on here and when i try to pay i get an error, just wondering if this is a sitewide issue, or if it's a paypal thing, or a me thing? 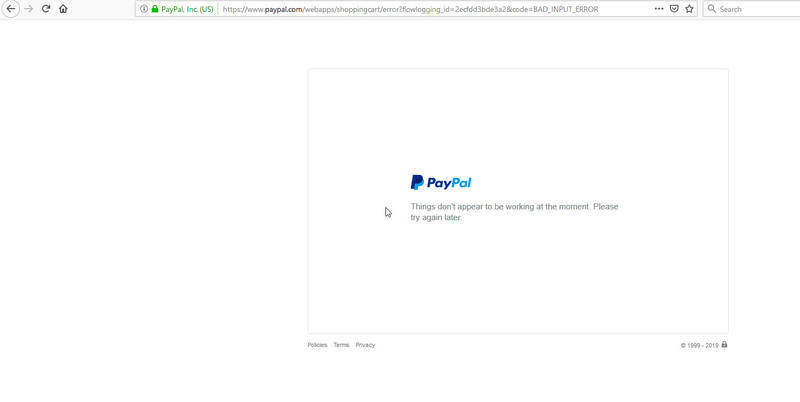 Paypal is working for me otherwise, just when i try to click the link to PAY NOW form the item on here, it errors. Re: Is Paypal working on the FOR SALE section? I had an item sell overnight and was paid no problem.